Happy Easter everyone! Hope your Easter Sunday weather is nice and sunny, mine sure is! I got these boots near the end of February and I am in love with them! They are from gojane.com (you can find them here) (omg while I was looking for that link I just found these... LOOK HOW BEAUTIFUL THEY ARE), the boots run a little big though so it looks like I have massive feet, if you want to avoid that I defiantly recommend going a size down! These boots are supposed to be like a dupe of the Dr Martens black Victorian Flowers boots, which are $100 more than the gojane ones. Since the weather is getting warmer, I am excited to pair these boots with a plain girly dress because I just love the look of that. Since it is Easter time, I have been consuming a lot more chocolate than usual and when I saw a bunch of British Instagrammers posting pictures of these Cadbury eggs I was very interested in trying them. I had thought that Canada didn't sell these, so my lovely pen pal Beth sent me a pack :) They were so good that I completely devoured them, and then I was sad because I thought that I would never be able to have them again... Then one day my friend sent me a picture of them at Walmart and I was really happy again, I find it so weird that they are a different name in Canada than Europe... They both are made by Cadbury so I really don't see the point, but anyways these are the best things ever because it is a chocolate egg with mousse inside which you use a tiny spoon to scoop out. I could honestly eat a whole pack of these in one sitting, thats how much I love them. Sally Hansen Complete Salon Manicure "360 Barracuda"
I really need to work on talking less, my posts are incredibly long... oops! I only bought this nail polish like 5 days ago but I'm considering it a favourite because when you find something you can't stop staring at then I call that a favourite. The colour is a bright pale blue, which you would think wouldn't work because something is either bright or pale it can't be both... But this is so... Go buy it right now ;) There is a downside to this nail polish though, it takes 3 coats to get a opaque colour, but it didn't chip on me for a few days so that is a plus! I never really used to fill in my eyebrows, but now I can't leave the house without a little bit of eyeshadow over them! I prefer using eyeshadow for my eyebrows because it isn't as harsh and it is really easy to blend out if you went a little overboard, which I usually do. 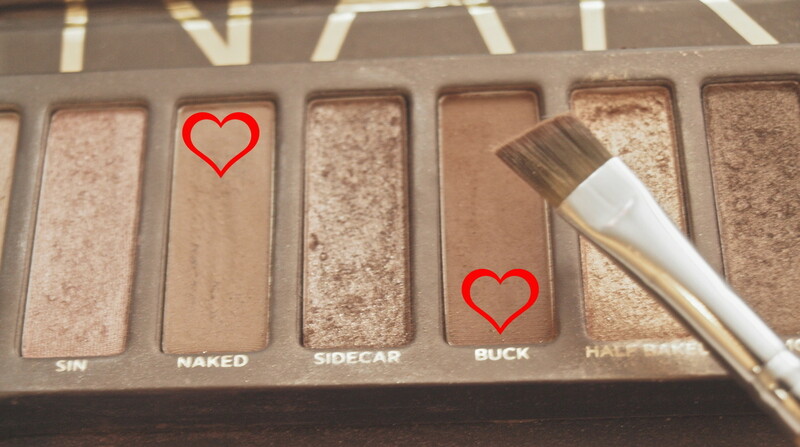 To do my eyebrows, I use an angled eyeshadow brush and mix Naked and Buck from the Urban Decay Naked pallet. Maybelline Color Whisper "Petal Rebel"
I wanted to try out the Maybelline Color Whispers because they are supposed to be like the Revlon lip butters (which I love), and I was interested in how they compare. The colour doesn't show up as well as I would like it to, but the thing I love most is the texture. It is really hard to describe, but it feels as thought you have just spread a thin layer of melted butter on your lips... But you can't really feel it on your lips unless you're rubbing them together. All in all this is a good product, I don't think it is as good as the Revlon lip butters because they don't have as much pigment but if you like that then this is a good product for you. This smell is what I would think Alice from Alice in Wonderland would be surrounded by as she is lying in the field of flowers at the beginning of the movie. Except those are daisies and this candle smells like roses, its just what I imagine to be anyways. The place that I went to to buy this candle was having a sale and I got this candle for only $15 which is great for how big it is. When people think of rose scented things it usually reminds them of the smell of and old ladies house, but this candle is far from that. It doesn't smell like fake rose smell, it smells like an actual rose bush and that is what I love about it! I love the way all of the soap and glory products smell, so in the summer of last year I was on the hunt for a soap and glory body spray. The drug store that I went to only had this product and a body spray that didn't smell like how I had imagined it to so I bought this one. The smell was perfect, but I was not a fan of how it was a very watery lotion consistency that you spray on yourself, so I didn't use it up until this month. I started spraying it all over me after I got out of the shower, and then rubbed it in. The smell didn't get over powering but it left me smelling really nice and it doesn't take as much time as rubbing body butter all over yourself would. My friend bought me this tea for Christmas last year and I fell in love with it. I never used to have tea without cream or sugar until this tea, but I do drink it with a bit of honey because I can't go without a little bit of sweetener. I have repurchased this tea 4 times now, which is rare for me because I am never able to get through at least 1 box of tea. This tea is great for in the afternoon after you get off school/work to take in a relaxing moment from a hectic day. Lately I have been having my showers at night and doing a french braid on my hair to give it some loose waves in the morning. Then I also pin back my bangs in a middle part once I pull my hair out of the braid, because I am trying to grow out my bangs and they are at a very awkward length right now. Growing out my nails... I am obsessing over growing my nails long at the moment, I love the look of claw nails and I want my nails to be long enough to be able to shape them like that. This is kind of cheesy but this month I have been trying to keep myself positive because ever since December I have been having some really low times. So I try to keep myself busy and think about what good things the day might bring instead of the bad 'what if' thoughts. Hope you enjoyed my favourites for this month, if you have any products you would like to recommend me please leave them down below in the comments! Wow awesome stuff - I love the Docs (I have a bright purple and velvet blue pair myself). Yesterday I also got the Egg and Spoon thing. Pure yummy. Thanks for sharing, Happy Easter. I love the little journal page! I've been meaning to purchase more candles, probably going to check that one out next time I'm near a Yankee Candle. 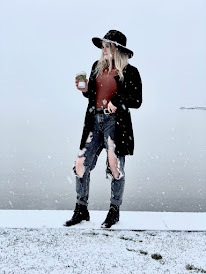 Floral boots? Yes please! Now I cannot wait to see an outfit with those boots. 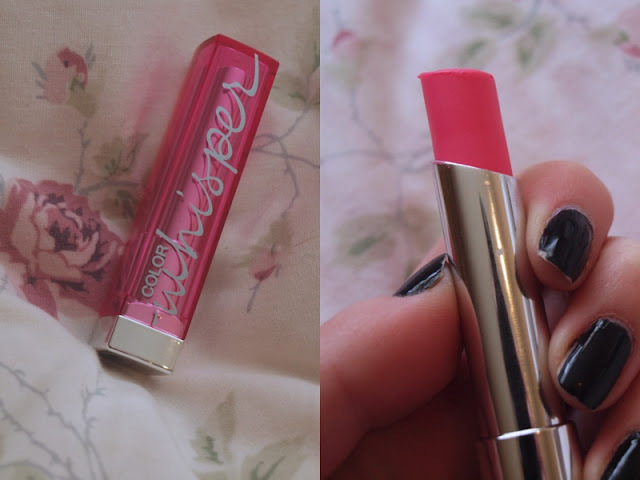 The colour of the Maybelline lipstick is gorgeous. I love the colour of that nail varnish SO MUCH. Oh, and I nominated you for the Liebster award, see my blog for details! Hello, follow your blog! I liked very much. Love the sketches! And I've noticed Nestle especially loves to name the same thing all different things in different countries... I think it's some sort of branding thing. Love it these Martins! tahnks for visit my blog, if you like we follow each other let me know! Thanks for yuor comment and yes, follow each other. I follow yuo in yuor social, come back to my blog.